In a case of "wow, we've got that other nice division too! 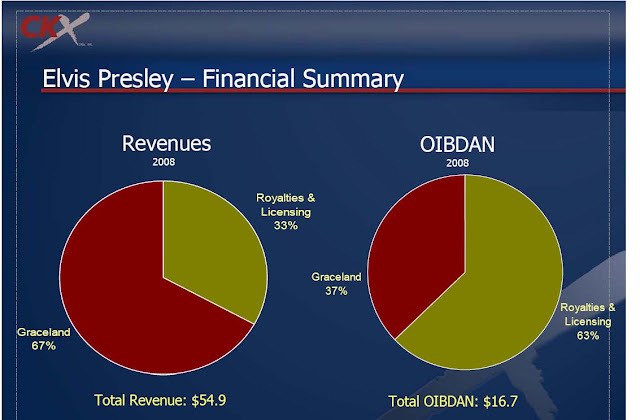 ", CKX (CKXE) is up 12% today, as they have an 85% economic interest in The King. 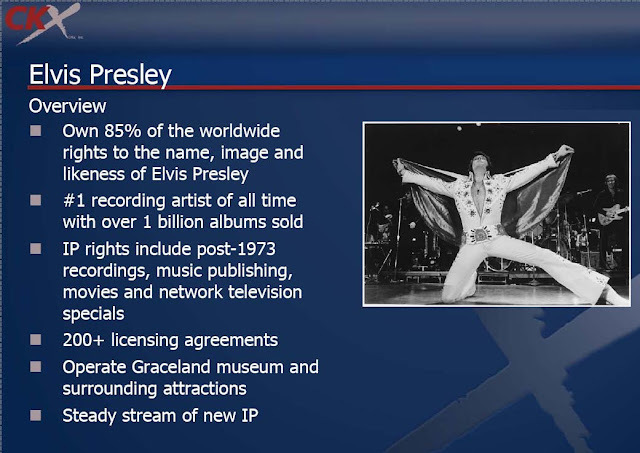 Investors are plowing into shares after rumors of huge turnout at Graceland to celebrate Elvis' 75th birthday. After his initial $210million windfall selling his 19 Entertainment, Simon Fuller still owns about half a million CXKE shares.